On Wednesday, a staffer at a regional Housing and Urban Development office for New York and New Jersey got into a heated war of words with White House correspondent April Ryan. HUD staffer Lynne Patton launched the petty personal attack against the esteemed reporter and CNN contributor on Twitter in response to Ryan’s claim that she and other reporters had been receiving death threats due to Donald Trump‘s continued attacks on the media. Ryan said on CNN that news organizations have had “the FBI and local police on speed dial” to handle threats against reporters since Trump began his attacks on journalists and labeling any negative reports on his administration “fake news”. April Ryan also said on-air that she, personally, had received death threats over her coverage of the president and his administration. “As a conservative black female who has publicly worked for & supported @realDonaldTrump, I’ve been getting death threats from fellow minorities on the left for the past 3 years — so welcome to the club. @AprilDRyan,” she wrote. “Whose wedding are you planning now and what wig company do you work for?” she added. April Ryan’s comments about the hostile and dangerous climate faced by reporters in the Trump era came starkly into focus last week when a 19-year-old grocery store clerk from Michigan was arrested after making 22 calls to CNN threatening to kill reporters. Two weeks ago, Brandon Griesemer began making a series of calls to CNN threatening violence and using slurs against African-Americans and Jewish people. “Fake news. I’m coming to gun you all down,” Griesemer said in one call. Griesemer was charged and arrested last Friday over the threats, but that same day, he was released on $10,000 bail. Patton eventually took down the incendiary tweet in which she called celebrated journalist April Ryan “Miss Piggy” and tweeted out an apology after the heated public exchange. “I deleted my last tweet by choice. No one from this Administration contacted me. 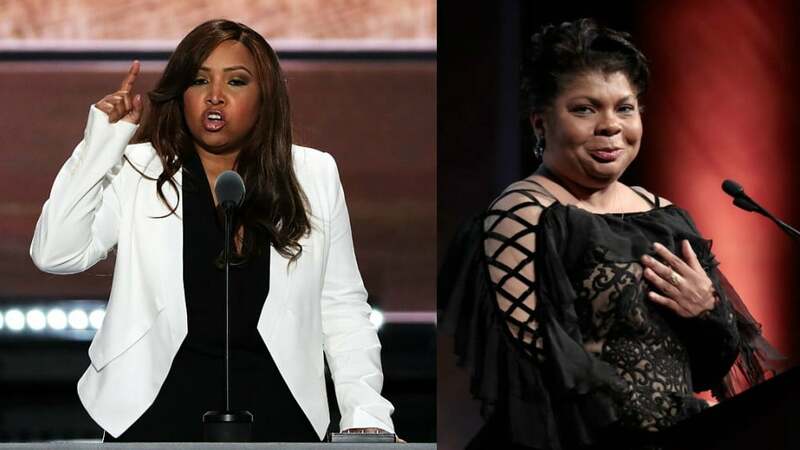 It was beneath me & I apologize to @AprilDRyan,” she wrote an hour after the tweet was posted. There’s been no word if Secretary Ben Carson was aware of the Twitter war of words.